Think of your tupperware/food storage containers. If you can relate to any of the following, read on. 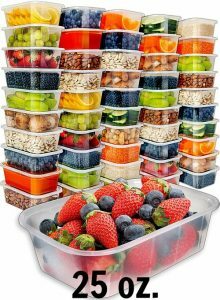 I have the answer to all your tupperware woes! 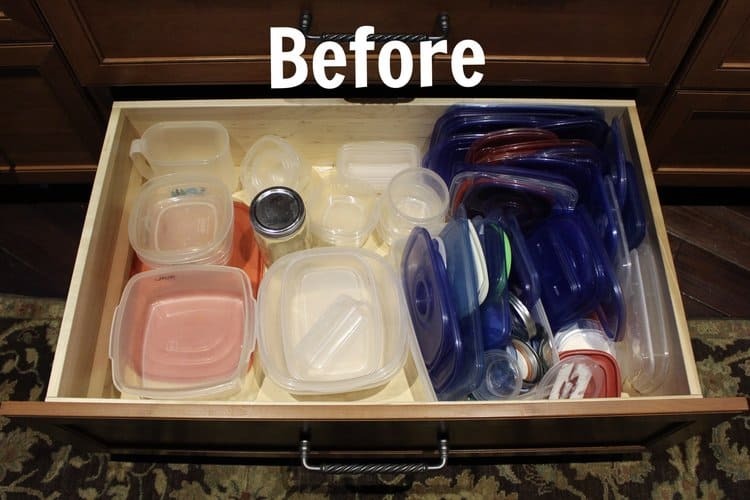 Have a drawer or cabinet full of mismatched tupperware/food storage containers. Reluctantly spend too much time looking for a matching top and bottom. Wonder how tops and bottoms randomly disappear. Have the urge to buy a new set of Glad containers every time you go to the store. Avoid thinking about how much money you’ve spent on food storage containers. Feel guilty every time you have to throw out cracked, melted or moldy tupperware. Pack lunches for a spouse or child in a tupperware container only to never see the container again. Reuse old yogurt and cottage cheese containers for food storage to avoid having to buy more mismatched tupperware. You aren’t alone. Nearly everyone has a pile of mismatched storage containers. Here’s why. Every brand (Glad, Ziplock, Rubbermaid, Up&Up, etc.) 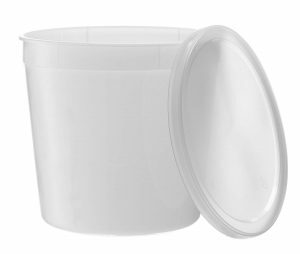 sells different shapes and sizes of food storage containers. Even sticking to one brand of tupperware doesn’t solve any problems. 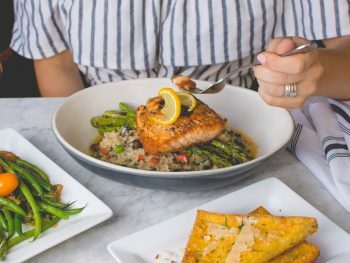 Within each brand the sizes and shapes are constantly changing and evolving which forces consumers to constantly buy more because nothing matches. Simplify! Replace all your current tupperware with deli-style containers. 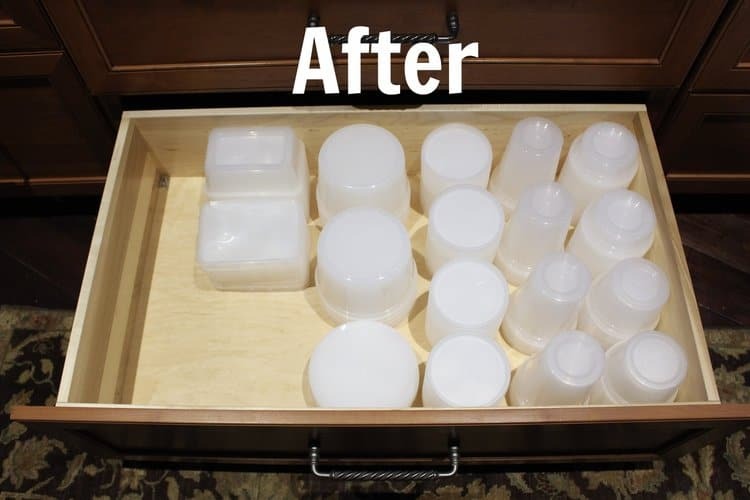 Below is a real-life example of a client’s tupperware drawer. 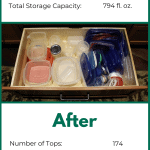 The After picture has more than four times the containers and storage capacity of the Before picture. Everything Matches: This single best thing about deli containers is that they all use the SAME LIDS regardless of the size or brand of the container. So searching for matching bottoms and lids is a thing of the past! Your tupperware drawer or cabinet will look like a beautifully organized masterpiece. Compact/Stackable: Deli containers are very easy to store in small spaces in an organized fashion because of their tall shape and stack-ability. Larger Storage Capacity: Because deli containers are compact and stackable, you can store more containers with less space and increase your storage capacity. 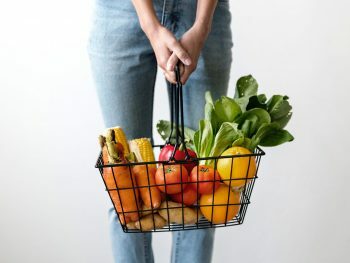 This is PERFECT for anyone who shops wholesale or does a lot of meal prep. Affordable: Deli containers are half the price (or less!) of plastic tupperware. So, when containers disappear or need to be thrown away, it doesn’t feel like you’re tossing money in the trash. Durable: Based on my personal experience, these containers are shockingly durable. The containers are a bit more pliable than normal plastic tupperware which means they never crack. Microwave Safe (BPA-free), Freezer Safe & Dishwasher Safe: I regularly put them in the dishwasher, microwave and freezer with no problems. Transparent: When food is stores in transparent stackable containers, it is easy to see what you have. When you can see the food you have, you are more likely to eat it and less likely to waste it. 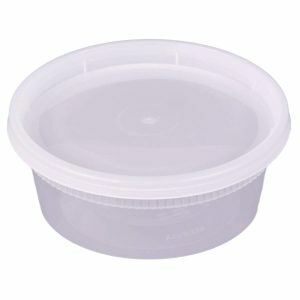 Efficient Food Storage: All the deli containers have the same diameter regardless of size and flat tops making them easy to stack. 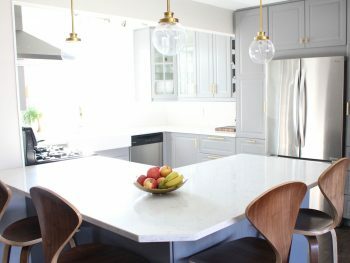 They truthfully transform fridges and pantries because everything is easy to see and find. 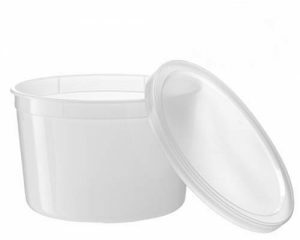 The following three containers all use the same tops which makes life much faster and easier. Click on the green links or pictures to get the exact containers on Amazon. 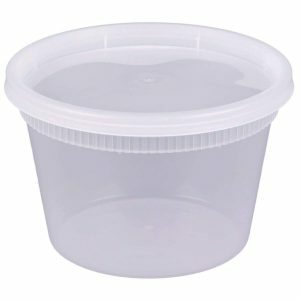 Small Containers (8 oz. ): These containers are great for portion control and meal prep. I use these small containers for single servings of protein like chicken or beef when packing lunches. They are also a convenient option for small amounts of leftover ingredients or sauces. 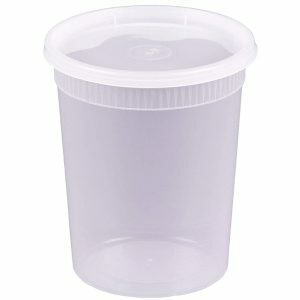 Medium Containers (16 oz. ): The medium containers are great for meal prep and individual servings of things like oatmeal, soup and chili. I usually turn to the medium containers for meal prepped rice and pasta, leftovers and pantry snacks like chocolate chips and sunflower seeds. I tend to use the medium containers the most. 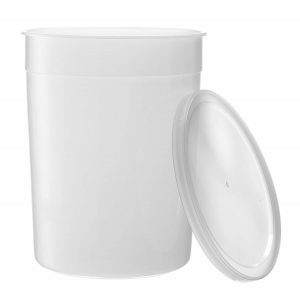 Larger Containers (32 oz): The large containers are good options for salad prep. They are the same size as mason jars but are lighter, easier to store and won’t break if you accidentally drop your lunchbox. I use the large containers for storing soup, chili and vegetables (celery sticks, cauliflower florets, carrots, etc.) in the fridge. I also use them in the pantry to store grains, flour, sugar, nuts, dried fruit and other snacks. They are so handy and keep my pantry clean, simple and organized with very little effort. The following three containers (64 oz., 86 oz. and 128 oz.) all use the same tops. For those who have a lot of mouths to feed or like batch cooking, these larger containers are incredibly handy. They are also awesome for storing pantry items like flour or rice. The 64 oz. container is my favorite meal prep container for salads because I can eat directly out of the container like it is a big bowl. I frequently use this container to meal-prep a big batch of Chia Seed Breakfast Pudding. I just make the pudding directly in the container to avoid making any dirty dishes and throw it in the fridge. So, easy! These rectangular containers are an added bonus. They are thin but durable making it easy to store a stack of them in a small space. Below are a few of the main reasons for including them in my food container recommendations. These containers are particularly useful for more delicate foods like blueberries, raspberries and blackberries because the shape of the container keeps them from getting squished under too much weight. They are a good size and shape for meal-prepped grain bowls and pasta dishes (built-in portion control). The size and shape is more conducive for efficient fridge and pantry storage. They are also easier to fit in lunch boxes and lunch bags.